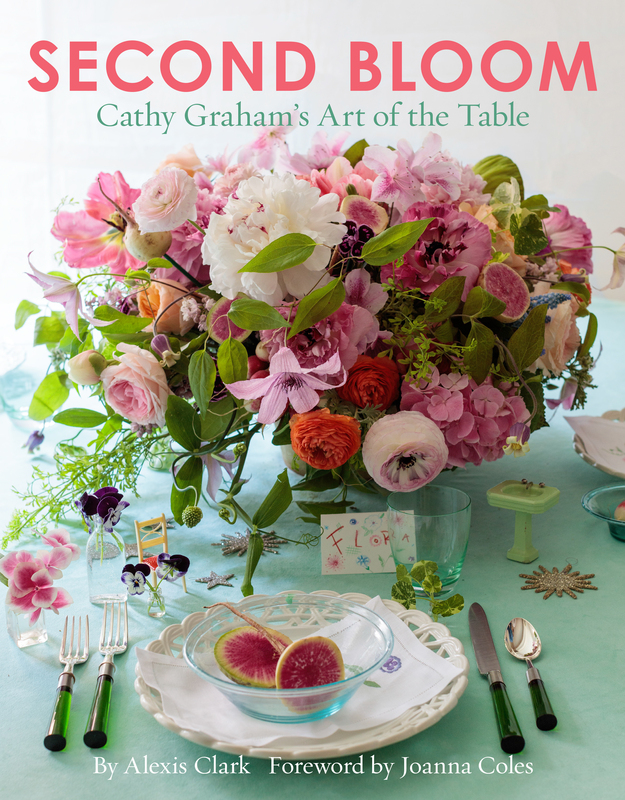 I love Cathy Graham’s story because it is the story of survival, reinvention and as her best selling book is aptly called Second Bloom. Cathy found herself in a situation far too many women end up in. At the age of sixty-one, she suddenly found herself alone, left by her husband of thirty years. But unbeknownst to Cathy, she had a strong inner core and an extraordinary resilience. And from the muck of an unpleasant and unexpected divorce, she turned her life into a garden of beauty, her second bloom. Read her story, we can all learn from it. From an outsiders perspective, you had it all. A thirty-year marriage to a member of an American dynastic family; two children and three gorgeous homes. It was a very good life – then the marriage fell apart and after a difficult divorce, you were alone suddenly in a different life. What was that like? My marriage ended abruptly after thirty years when my husband asked me for a divorce. It was his decision and I had no say. I was sixty-one years old and my life as I knew it was over. The protective bubble had burst. The reality hit me like a ton of bricks that for the first time in three decades my identity as being Mrs. Stephen Graham was over. I had to mourn the loss of having a family of 4. What did you feel? Did you despair? mode from the shock and the loss. But, it somehow made me go into overdrive. My thinking became clearer which helped me deal with going through a divorce. I thought here I am sixty-one years old the last time I dated I was in my twenties, who on earth is going to date me? Will I ever have another relationship? But the flip side was I was free. Many women end up single starting in their forties when husbands and wives start getting bored and then in their fifties some end up widowed. Did you ever think you’d be single at this stage in your life? I had two dear friends who lost their husbands suddenly to heart attacks. So maybe somewhere in the back of my mind, I thought about losing my husband, but I never thought it would happen to me. Not this way. I was completely unprepared for this sudden change. 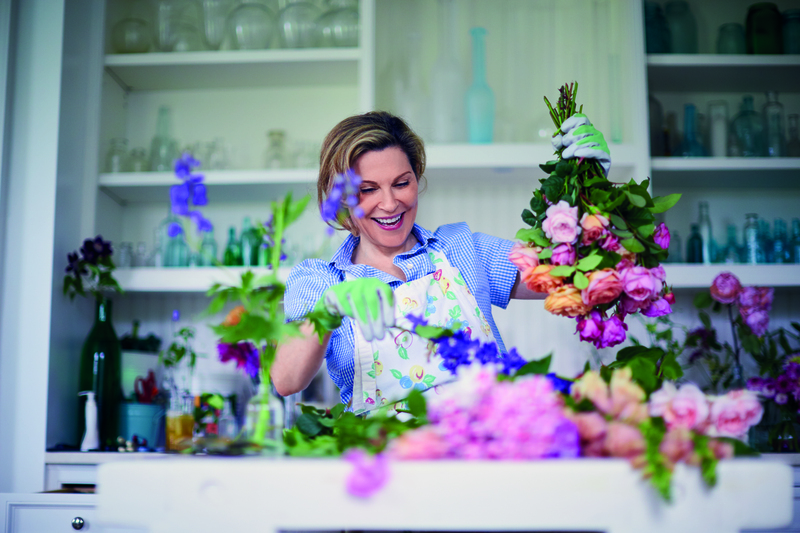 Did you tum to your passion for flowers, floral design and drawing as a way of keeping yourself busy or did you actually have a plan? What I did what was – draw. I drew every day, even at night. It became a form of therapy and turned out to be a way of reconnecting with who I was before I was married. My dear friend, Joanna Coles, suggested I start posting a drawing a day on Instagram, which I did. Another thing that helped was filling my house with fresh flowers to lift my spirits. It was important to stay social so I began giving dinner parties for the first time on my own. Without a husband to embarrass, my tables became more and more outlandish and I posted them on Instagram. So many women would love to have your skills. Talk about them. Like anything in life, the more you do it the better you get at it. The hard part is starting. I have some very simple techniques that I use that anyone can do, such as using single stem flowers in individual bottles to create a garden on your table. Drawing is something I’ve always done and anyone can do. It is a wonderful form of therapy even if it’s taking a figure drawing class. It’s just a way of seeing and is very relaxing. Don’t worry about being judged. Everyone has to start somewhere. But you did what Oprah says to do, you turned your passion into purpose. Explain how you did it. What were the first steps you took that moved you from the land of loss to the land of purpose? As I said before I was drawing every day and putting it out there for people to see. One thing led to another and I got a book deal with Vendome Press. Now I’ve started a company, Second Bloom, and I’ve begun designing textiles with Charmajesty Linens, paper products, decoupage with Scott Potter and a candle with NEST Fragrances. What made you decided to do your wonderful book, Second Bloom? It had always been in the back of my mind to do a book. This life-changing experience put the fire under me to make it happen. I never dreamed I would actually have my own company and a fresh start in life. As the saying goes, “Every dark cloud has a silver lining.” Mine happened to be filled with flowers. For me, the title really encapsulates what happened to you, out of the muck of divorce you bloomed again and are now thriving. That’s not easy. what advice would you give women who find themselves in similar situations? The very best advice I can give is to stay positive and to move forward. You can’t live in the past. Be open to new experiences. Use simple techniques such as taking a negative thought and turning it around. We all have hidden strengths. Be able to laugh at yourself and be grateful you are alive. Make the most of it since you don’t know what tomorrow will bring. What was your greatest lesson? That I was simply too old to be bitter, angry, or resentful. It would just put people off and isolate myself. So I joined new boards and wrote daily in “Notes” on my iPad. When I woke up, be it in the middle of the night or first thing in the morning, I would write down my feelings of anger and rage, loneliness and fear ending with a list of all the things I have to be grateful for which always put things in perspective. This was enormously helpful. I tried other things too. I spoke to psychics, (didn’t do a thing), astrologers (did zip for me), Transcendental Meditation (I was in too much pain to mediate), put a rubber band on your wrist (snap it whenever you start having negative thoughts). Sorry for the pun but “snap out of it” actually helped. What strengths did you learn you had you were not aware of? I didn’t know I had the strength and resilience to reinvent myself and to be myself. I learned I could live alone, give a dinner party, travel by myself, get through a divorce and move on with my life. I plan to continue tapping into my creative energy, design products, have a career again, make new friends, be open to new experiences and, most importantly, give back. I’m not leaving without one floral tip. I am someone who buys a bunch of tulips and plunks them in a vase. It’s now spring can we have three tips for making special arrangements that don’t cost a fortune but make it look like more than you plunked a bunch of tulips in a vase. Tulips. What I would do is put each in its own bud vase and have them scattered about the table. You could also try buying three bunches and stick to bright colors (hot pink, red, orange, yellow) or soft pastels. Mix the tulip colors up or use three vases with one color of tulip for each vase and group them together in the middle of the table. Photos by Quentin Bacon & Andrew Ingalls. Mother’s Day is around the corner! !